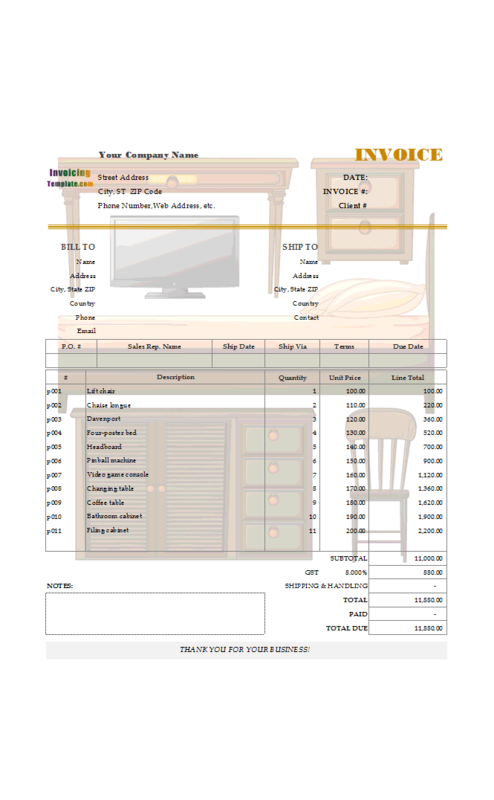 This invoicing format is basically the default template shipped with Invoice Manager for Excel (namely Uniform Invoice Software) (UIS), but with the "Taxable" boxes removed and an image of furniture and appliances on it. 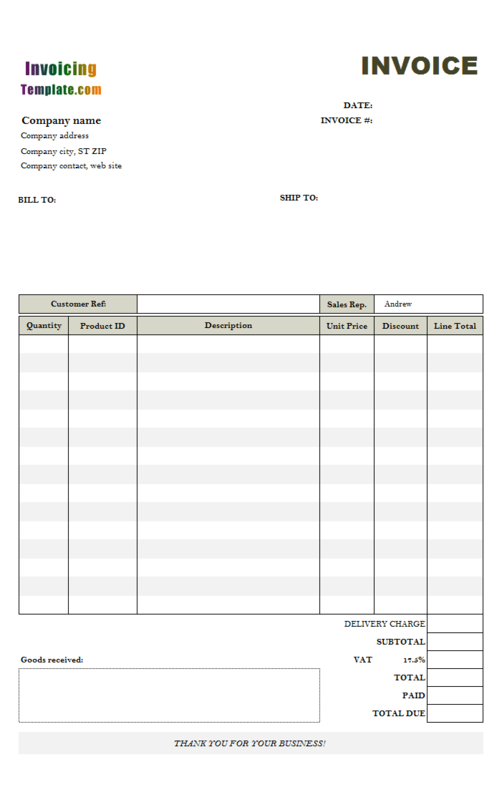 This sample template is suitable for stores and manufacturers that operate as a retailer or wholesaler. 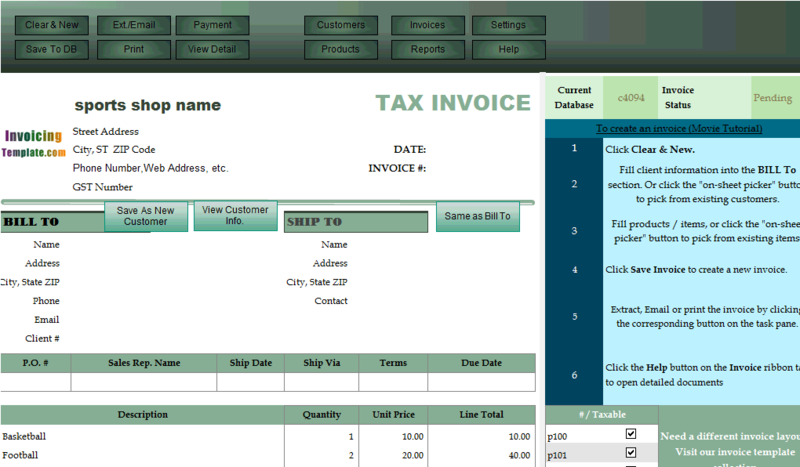 c5100 now includes the customized invoice template for the latest version of Invoice Manager for Excel. 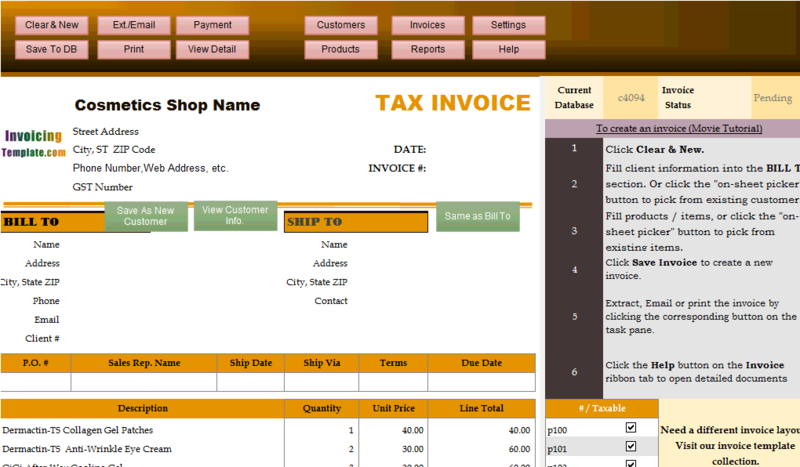 This is what you will see when you open editable-bill-sample-for-furniture-and-appliances.xlsx. 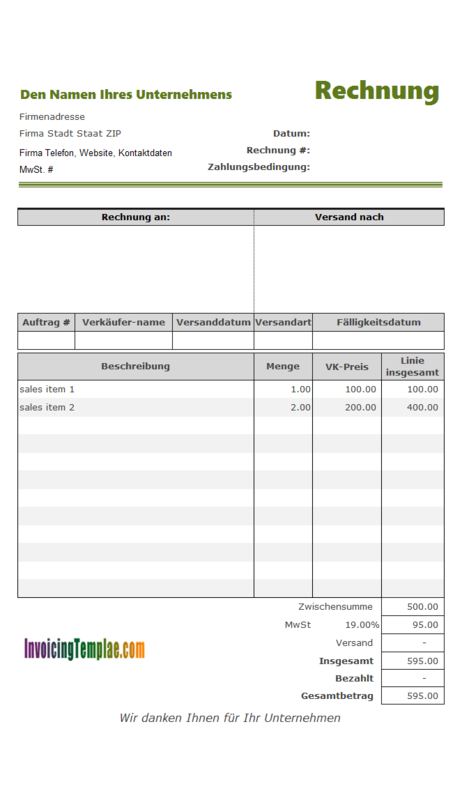 This invoicing format is basically the default template shipped with Invoice Manager for Excel (UIS), but with the "Taxable" boxes removed and an image of furniture and appliances on it. This sample template is suitable for stores and manufacturers that operate as a retailer or wholesaler. 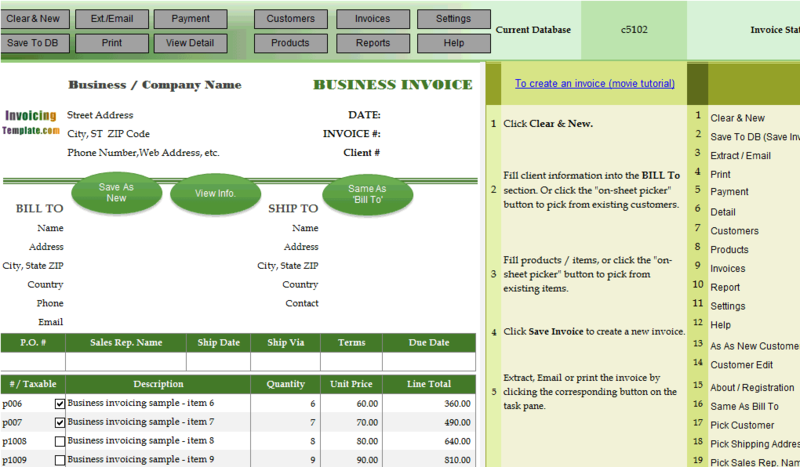 For a professional template designed for the furniture business, visit Professional Tax Invoice Template for Furniture. By default the Excel form is protected. In the protected mode Excel will not allow you to change anything on the form, except those unlocked / editable cell values. To make the template editable, simply unprotect the Excel spreadsheet by going to the "Review" ribbon tab, and then choose "Unprotect sheet" from the "Changes" group. 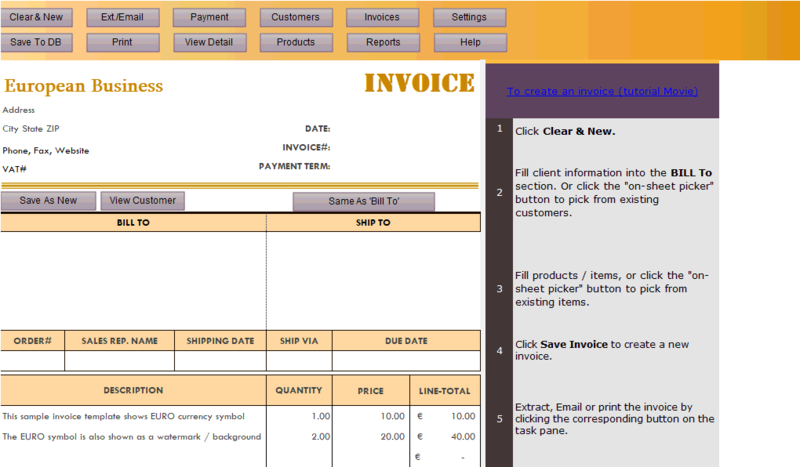 Once unprotected, it becomes an editable invoicing template. Like the original form design, all columns on this form, including "Product#", "Description", "Unit Price" and "Quantity" are manually fillable / editable on creating invoices, except the "Line total" cells which are calculated using a group of Excel formulas. All line totals are rounded to 2 decimals after the point, which is suitable for many countries / regions around the world like United States, United Kingdom and Australia etc. And by default, the "Unit Price" field, although is formatted to show 2 decimals after the point, you can in fact enter up to 4 digits after the point by simply apply an Excel numbering format to the cells. Unlike Microsoft Word (".doc" or ".docx" format), the background image / watermark we added to an Excel file (".xls" or ".xlsx" format) does not show in the edit mode. 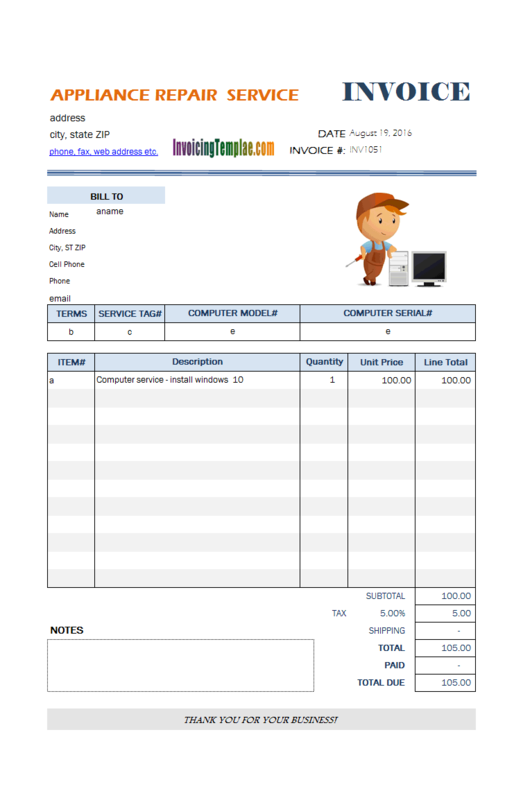 Instead, it shows only on the printed document, or the PDF format editable bill sample for furniture and appliances. 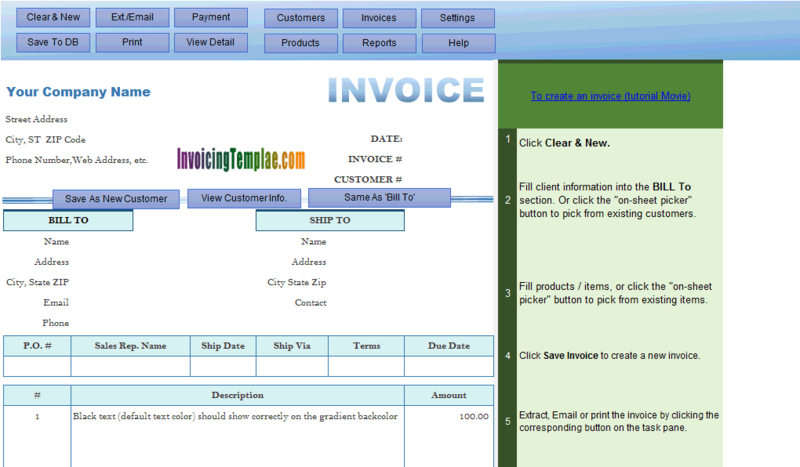 Invoice Manager for Excel the Invoice worksheet to be protected (Excel "Review" ribbon tab / "Changes" group / "Protect Sheet" command), otherwise the invoicing software program will not react to the clicks on the on-sheet command buttons. 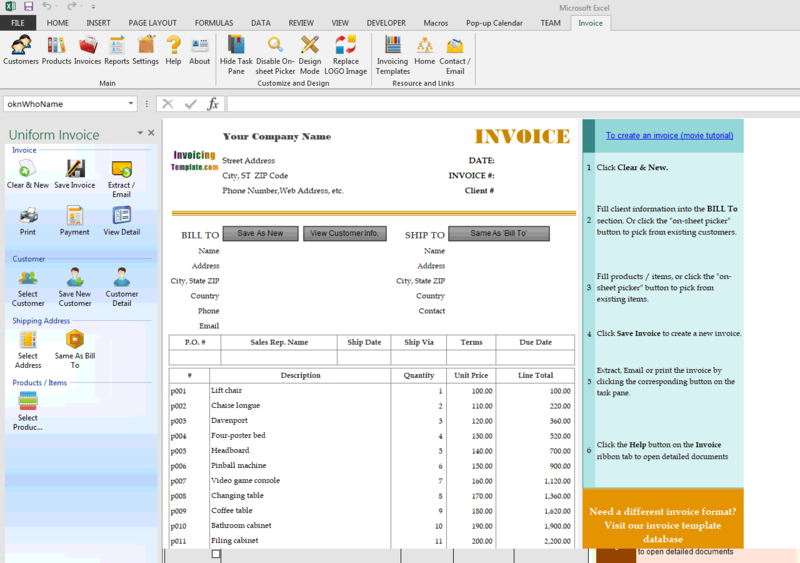 When the sheet is protected, all cells that have been locked are not editable. 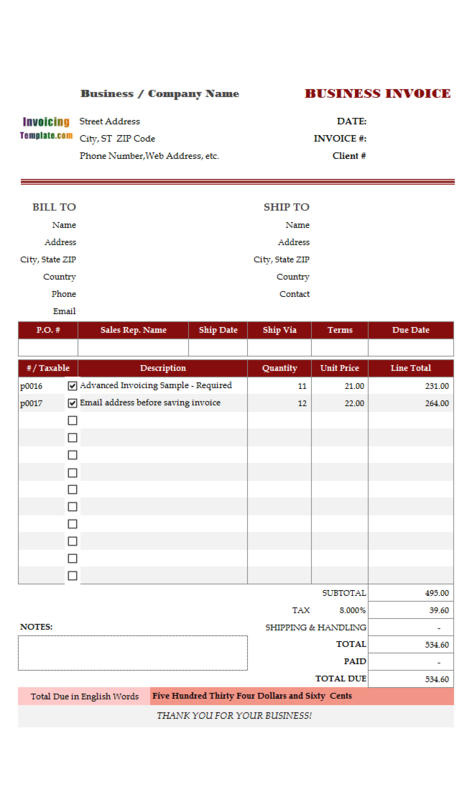 All cells with formulas assigned are locked by default (and thus not editable to protect the formulas from being changed / overwritten), such as the "Line total" and "Subtotal", "Payment", "Total Due" cells on this template. 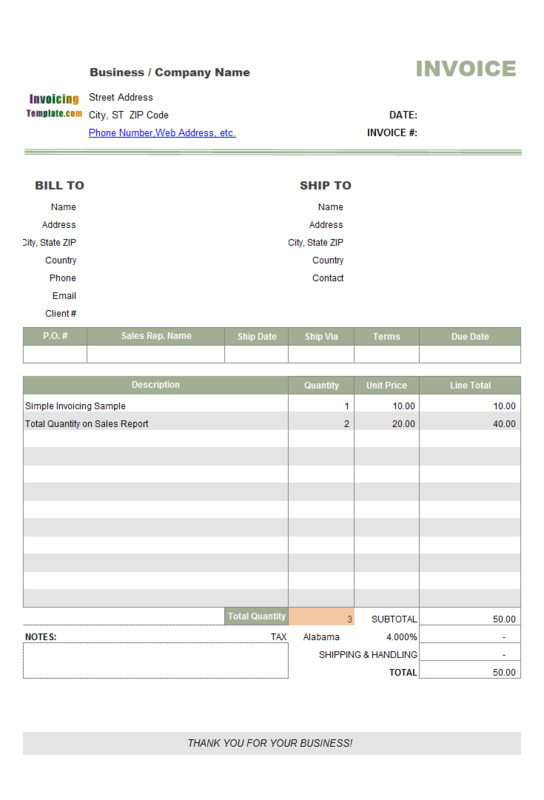 All cells that are unlocked are manually editable / fillable on creating invoices, such as the cells in the "Bill To" and "Ship To" section, the "Invoice#" and "Invoice Date" cells, etc. 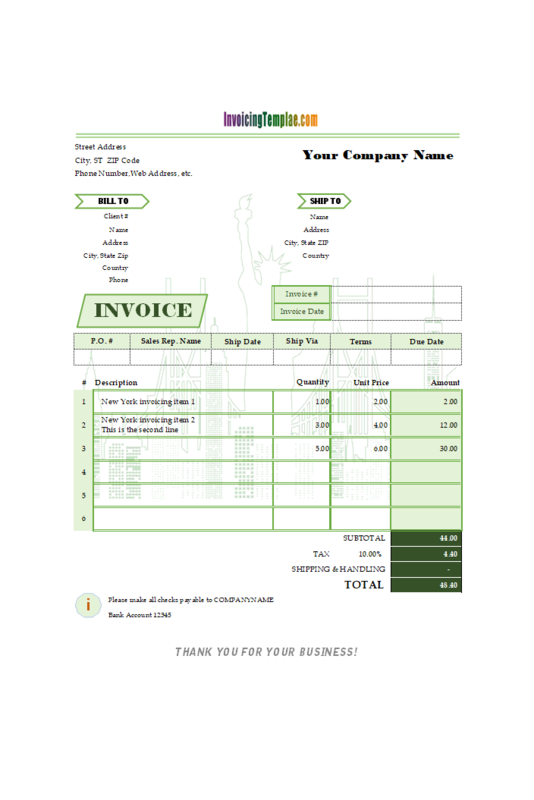 Like other form designs here on InvoicingTemplate.com, Fillable Billing Template for Furniture and Appliances is free (offered to you at a price of 0.00USD). It works on Windows XP and all newer versions of Windows, and Excel 2007, 2010, 2013 or 2016. Removed the "shortcut keys" pane from sheet.